The KSB product range covers almost the entire requirements of industrial processes. 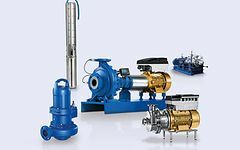 KSB’s industrial valves and industrial pumps are versatile and ensure reliable operation. 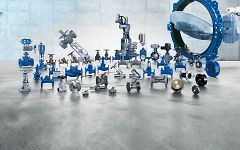 They can be found in the chemical and petrochemical industries, in shipbuilding, the steel industry, in heat transfer and cooling circuits, in the pharmaceutical industry and in numerous other industrial processes: KSB’s industrial pumps and industrial valves suit a large variety of applications. KSB’s portfolio ranges from standard pumps to engineered products. KSB places great importance on providing energy-efficient solutions.